Would you give up cars to live here? After spending the day here I’d seriously consider it. 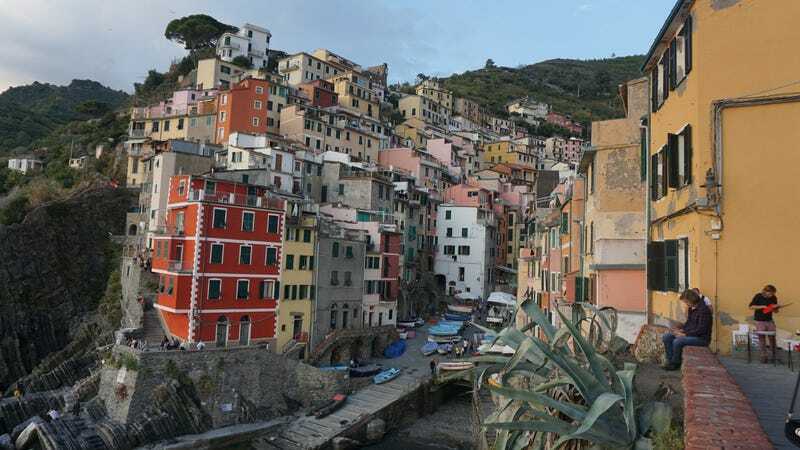 The roads are too steep and only three streets are even wide enough so cars are banned from Riomaggiore. There’s a parking lot just outside of town and you walk or take a shuttle in.